You are currently browsing the tag archive for the ‘Report from the Gallery’ tag. This was the Council Meeting. The following is how I understood the meeting & all mistakes are mine. I have left out some of the debate as it ran for more than 1 hour & many things were repeated. 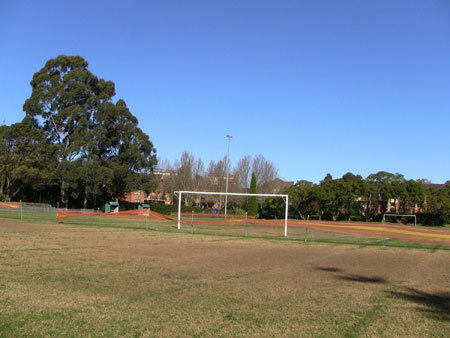 Note: MC = Marrickville Council, AO = Arlington Oval, ST = synthetic turf, PoM = Plan of Management. 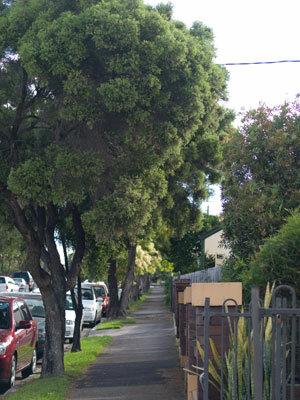 Notice of Motion: Street Tree Outside 16 Temple Street, Stanmore – Clr Phillips asked: That Council monitor the Lemon Scented Gum (Corymbia citriodora) street tree outside 16 Temple Street for 12 months & then review the decision for removal. I was not present for the debate. Vote for – Clrs Phillips, Leary, Brooks, Ellsmore, Iskandar, Tsardoulias, Haylen, Woods & Gardiner. Against Mayor Macri, Clrs Hanna & Tyler. Carried. Notice of Motion to Rescind: Arlington Reserve Playing Field – This issue was debated on 20th November 2012. See – http://bit.ly/TnDEX5 Clr Gardiner: Because no-one gave a precis of the speakers for & against, there should be no speakers tonight. Staff: It’s a policy matter. You are entitled to insist on it, but it has not been common practice. Clr Brooks: People should not be stopped from speaking on a technicality. As there were 33 people from the community registered to speak it was decided that only 3 for & 3 against could speak. The speakers for the rescission motion raised the following – 1,348 petition signatures were collected against ST over last 5 days. It doesn’t add up financially – $800,000, plus maintenance to replace a $50,000 maintenance bill for grass? That’s $750,000. There are environmental impacts. ST can be 20 degrees hotter in summer & that heat is going into surrounding houses. Chemicals are also an issue. Find another ground for one of the clubs. A local school might like having their ground developed. There is enormous disquiet about this in the community. It’s about equity & ethics. Report says that soccer clubs will help pay for field improvements. Is the offer from the clubs in writing? If so, why aren’t the papers attached as per ICAC guidelines? I’m concerned about a minority group disenfranchising the local community. The problem is 2 clubs playing on the one field. This denies access to the community & schools. Leaves cannot fall on ST so there will be calls to remove the trees. The clubs assert there will be no increase in usage, yet we will be spending $1 – $1.5 million? The Hurlstone Park Wanderers are interested in playing at AO. MC said it would need to increase usage to more than 60 hrs/week. A tripling is unreasonable. To vote first & act later is a farce. Clr Brooks: The residents worked very hard. 1,348 petition signatures were collected over last 5 days. I was concerned about contempt via emails from Clrs. Why are you ramming a motion like this through when there is so much concern, logical impossibilities & so many questions? Important to recognize there is a shortage of open space. There is no business case for ST at AO. 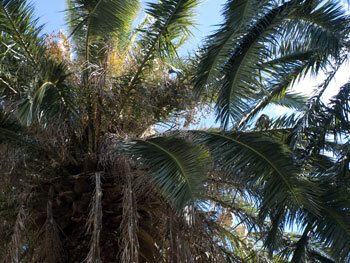 The environmental issues are quite specific to the location. I have concerns regarding technical decisions around this proposal. The embankments make drainage difficult. ST does not do well with pools of water. The residents have very little trust that they will be respected or consulted. There will be floodlights streaming into houses until 9pm. If we can get a commitment from MC about turning off the lights, then this won’t be an issue. Clr Phillips: We have to vote to rescind the rescission motion to debate the issue. Moved to investigate hybrid grass. Mayor Macri: Clr Tsardoulias: Last meeting we didn’t vote to lay ST. We spend $56,500 every year. We have problems in LGA with a shortage of space. Tempe Reserve is a pig sty. Mackey Park is a mess. AO is restricted to 22 weeks in the year. We had community engagement for months. Every day we face complaints by staff & players. We could shut AO down & the issue would be solved, but I’m in the business of keeping it open. Violence in the community is not tolerated. In the last 7 days people have been threatened; receiving phone calls at midnight. Concerns about traffic will be alleviated because of the PoM. Today I instructed the Rangers to find out who owns the boat. I’ve instructed them to tow away cars. It will be enforced & monitored on a weekly basis. AO has been there a long time, since I was a kid. This motion I’ve received is a balancing act. I’m about listening. 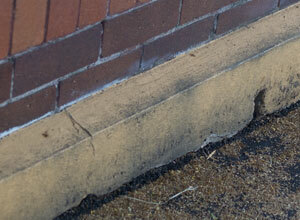 Clr Brooks: Amendment – MC provide a report on the environmental health of synthetic turf with references to DCP & LEP. Cr Phillips: A couple of years ago we gave $270,000 to get good turf at AO. If it’s failing I’d like to know why. We have thrown away a lot of money. I am not convinced we have to go the way of ST. AO is not a closed ground. MC should look at other areas. If we were to do it, we should do it in Tempe Reserve. AO is the wrong place. That’s why 1,300 signatures were collected in only 5 days. MC must recognize this. Residents must feel they have been heard. MC did choose Option 3. There is a real risk that the players will want to change the PoM in the future. Mayor Macri: Motion that we get a report on the condition of the surface & outline options. 1. Maintain current usage & deal with problems as is. 2. Reduce usage & tell clubs we don’t want you there. 3. Investigate ST. Nothing is wrong with the process. Henson Park is a good model. They all get on because they respect each other. There are no dogs at Henson Park so there is no poo problem. Nothing was in the report about taking out trees. The surface is vacuumed once a week. Actual soccer use is heritage. MC spends more money on its residents. We are Number One. 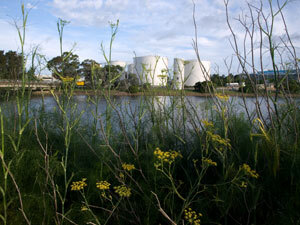 Clr Leary: Tempe Reserve is not dead. There are many in the community fighting against WestConnex. Clr Gardiner: I am ashamed that so many people have expressed abusive & defamatory comments. Exaggerated clapping from the Gallery is unhelpful. As Marrickville’s population increases we are moving toward higher density. People have to learn to get along. 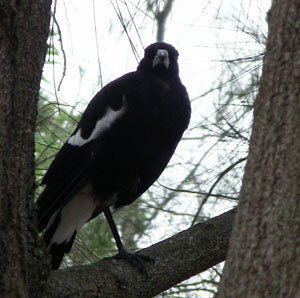 The residents have chosen to live next to a sporting reserve. Over the last week I have heard ST has been blamed for global warming & Hurricane Sandy. For goodness sake people, get along. Let’s move forward as a community. Clr Hanna: I’m very happy we are going to come to an agreement. Clr Gardiner had worked very hard to get everyone to this situation. Clr Iskandar: When I was the Mayor I was very well respected, so some comments show me that some people are looking for cheap politics. It’s about safe turf. We want to address the issue. Instead of grass we use ST. “Some players are wogs.” – that’s not true. I was abused in the first open meeting. The Management Plan; we did it & everyone was happy. The Labor Party did it so please treat us with respect. I commend Clr Gardiner for putting this together. Mayor Macri: Part of the motion is to look at lighting issues. Clr Tsardoulias: in 2009 we said we put shadows on those lights. Agreed to absorb into the motion. He supported Clr Brook’s amendment, but wanted it dealt in a separate motion. Clr Gardner: I’m concerned this may delay. Staff: It can be done by Feb 2013. Clr Tsardoulias: I inspected every oval with staff. Tempe Reserve is a disaster. AO; a disaster. Camperdown Oval; an extreme disaster. Mackey Park; bad. Our budgets do not cope. We have a reputation of having the best services. Our childcare is the best because MC takes responsibility to make sure we balance the act. Vote – unanimous. Part 2 next. This was the Council Meeting. The following is how I understood the meeting & all mistakes are mine. I have not covered all items. Clr O’Sullivan: Happy we have arrived at this decision as it is another step towards better public health. 36 organisations sent a written submission, 4 against & 1 half-half being supportive of some elements. Our reputation as a 24 hours entertainment area will be enhanced. We will look at gradual community education. Clr Olive: Against it as it currently stands. It’s good that we are giving some leadership to the community. Beer gardens & footpaths have become defacto smoking areas. We do have to consider children & give a good example. He had amendments to outdoor dining venues, not while junior games are underway,& wanted 2 points deferred to get a list of Council funded events & functions. Clr Thanos: For the amendment, but against the Motion. Said he was aware of residents from a NESB who smoke & those residents who have mental health issues. We will be penalizing these people with a blanket ban. No problem restricting with children, near playgroups & alfresco dining areas. Will oppose any move to fine businesses who have patrons smoking on the footpath because it’s difficult for them to impose Council’s rules. Clr Hanna: Asked staff who will pay the fine? Staff: Individual. Clr Hanna: Do we have the right to ask for ID? Staff: We still have to go through details. First we will do community education. Clr Hanna: I still don’t think it’s fair for coffee shop owners, but in favour of the Motion. Clr Phillips: Support the substance of the Motion & support the amendments. Added to amendment that no smoking in Council owned sports grounds during all games, except in specific areas. Clr Macri: There are financial implications. He asked staff if the $20,000 was enough to educate & help support shop keepers? Staff: It will be included in the budget. Part will be signage & stickers. The Cancer Council is our partner who have committed significant resources. Clr Macri: Support in principle, but I am struggling to come to terms with the lifestyle changes we are asking people to make. $20,000 doesn’t seem enough money. He put an amendment to write to the state government asking them to advance this issue to a priority level as this is multi-million dollar advertising. Clr Kontellis: Supported the Motion. This is policy in the NFP sector & happening in other Councils & begins to shape a culture of non-smoking. Clr Wright: Support the Motion, but not the amendments. We should be doing the maximum we can. We are not going to have Rangers looking for smokers. People have accepted limitations & it’s not unreasonable if people are left smoking only in their own homes. Mayor Byrne: Support Motion. City of Sydney Council are investigating non-smoking in their LGA. Clr O’Sullivan: Cannot accept the amendments. Smoking may be a consolation in a bad space of life. Foreshadowed Motion: For – Clrs Olive & Thanos. Aganst: Clrs Iskandar, Tsardoulias, Wright, O’Sullivan, Peters, Kontellis, Phillips, Byrne, Hanna, Macri. Amendment: For – Clrs Kontellis, Phillips, Thanos & Olive. Against – Clrs Iskandar, Tsardoulias, Wright, O’Sullivan, Peters, Byrne, Hanna, Macri. Motion: Against – Clr Thanos. For – Clrs Iskandar, Tsardoulias, Wright, O’Sullivan, Olive, Peters, Kontellis, Phillips, Byrne, Hanna, Macri. Carried. Marrickville LGA is now non-smoking within 10 metres of Council buildings, playgrounds, restaurants, schools & sporting events. There may be more places. Council will let the community know. Billboard advertising – Clr Macri: This is a revenue stream for our community. Bringing it up to get a report to further the budget process. I’m not expecting these all over the streets. For – Clrs Iskandar, Tsardoulias, Wright, Peters, Kontellis, Phillips, Byrne, Hanna, Macri. Against – Clrs Olive & O’Sullivan. Carried. Urgent Item of Business without Notice from Clr Tsardoulias – Illegal advertising & ‘postering’ on Railcorp property – The Motion was for Council to notify Railcorp, investigate, remove the posters & the people who put up the posters to be prosecuted. Clr Tsardoulias wanted Council to fine the perpetrators & remove the said posters. (A photo of the posters was projected on the screen in Council. They were Greens Party election posters). Mayor Byrne: Staff say because it is a substantive Motion we need to vote to see if this is urgent. Clr Tsardoulias: It is visual pollution. That’s urgent. I want it investigated. I want the people prosecuted. I want the posters removed. Mayor Byrne: She pointed out the painted black line around all the posters that looked like a frame & said these were called ‘street legals’ & they are allowed to do this. Clr Tsardoulias did not comply with the Chair’s requests for order & the Meeting was adjourned for 2 minutes on 2 occasions. In favour of this being an urgent Motion: Clrs Tsardoulias, Wright, O’Sullivan, Hanna & Macri. Against: Clrs Thanos, Olive, Peters, Kontellis, Phillips, Byrne. Council did not accept the item was urgent & it was lost. Here ends the Report for this month. There will be no Report from the Gallery this week as the front door to Marrickville Council’s Citizens Centre was locked & remained locked when we left at 6.30pm. The door is usually kept open until around 8pm. No-one answered the door bell & we couldn’t throw pebbles at the 3rd storey windows. Council’s website says the Land Use, Assets & Corporate Committee Meeting is on tonight & the agenda plus business papers are available for download. Absent: Clr Iskandar. The following Is my understanding of the meeting & all mistakes are mine. To reduce the length of this post I will mostly remove “he said/she said” with the comments coming after the speaker’s name. instances of inclusion, co-operation or serious desire for peace. It divides our community with the Aboriginal & Jewish community feeling excluded & like second-class citizens. Council should instead do peace projects & volunteer dental programs as examples & share our religious festivals. One speaker said, I do get offended when people say that unless you believe in the BDS you don’t believe in social justice. With the BDS, you are against social justice. A local school has decided to boycott Marrickville Council activities. One speaker asked, are we really debating middle-eastern politics in Marrickville Council? Another, Do you want to be the generation of Councillors to cause division in the community? 2 residents, 1 who identified as Jewish, spoke in support of the BDS saying it’s causing discussion in our community & is a peaceful boycott. It doesn’t target Israeli people, rather Israeli state policies. Israel is consistent in defying international law & there are Australians who think that Palestinians deserve a fair go. It’s sad that so many Jews can’t support Palestinian human rights. The Jews are not under threat. It’s not about anti-Semitism or excluding Jews, it’s about human rights. Because it was a Question on Notice, Councillors did not debate. Leasing the Coptic Church Tempe – There were 2 applicants: The Anglican Catholic Church Original Province & The Coptic Orthodox Church Heritage Trust. The Bishop for the Australian & NZ Anglican Church spoke: 3-years ago we asked Council if we could hire the Coptic Church. He spoke about the use of the church for the community with 45% of the church’s communicants being under 18-years of age. This centre is important because it’s at the gateway to Australia. The second speaker from The Coptic Orthodox Church Heritage Trust arrived late so did not speak. The old Coptic Church now gets a new lease of life with Council deciding which of the 2 applicants will use the site. 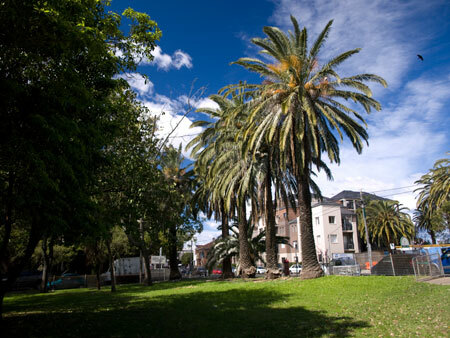 Rescission Motion against a new park for Marrickville: Clrs Tsardoulias, Iskandar & Macri put in a Rescission Motion (RM) to stop staff looking into the feasibility of a park in front of the planned new library at the corner of Marrickville & Livingstone Roads Marrickville. The space is currently a car park & a green area with many large trees. 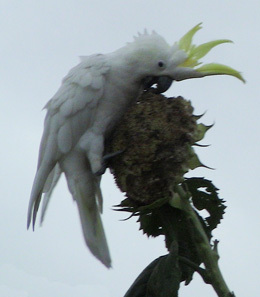 See – https://savingourtrees.wordpress.com/2010/12/23/3-marrickville-councillors-are-trying-to-prevent-a-new-park/ I spoke against the RM. Clr Tsardoulias: Supporting the RM. The Greens delayed the building for 6-years. Council have spent thousands on the Masterplan & to do the park we will give away affordable housing. Clr Thanos: Opposing the RM. The delay wasn’t caused by the Greens. The assessment of the space showed that it would need a 10-storey building to have both the library & the Civic Centre there. I proposed an 11-storey building that wasn’t supported. Now Council has to decide whether the library or the Civic centre goes there. We should not stack the site with buildings. 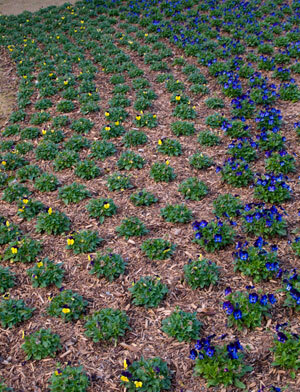 We should maintain some green space. People are always telling me it’s needed. We would be the only Council in the last 50-years that can deliver a park & it will be very difficult to do this in the future. The motion was to check the feasibility for this. Clr Phillips: Opposing the RM. Astounded that Clr Tsardoulias thought he was shut down in the debate as the Mayor put up an extraordinary Council Meeting that no-one, but the Greens attended. Here we are talking about a 9-storey building on a unique piece of land some way from the Cooks River. 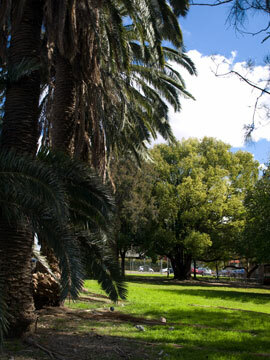 We have the lowest green space in Australia. It will be a great gateway to the new library & it’s a good thing for the community. Clr Wright: Supporting the RM. Great concern about process. We have spent time & money & the Masterplan has been devised. If you remove 1 aspect, all aspects are up for option. It’s an opportunistic & ad hoc approach to delivering a park. A corner is not a good location for a park & it’s on the library’s back side. Clr Olive: Opposing the RM. Clr Tsardoulias alleges that the Greens have delayed this for 6 years, the Greens have only had decision making powers for 1 year over the past 6 years. Clr Tsardoulias delayed this by his RM & asked that a report be put in by February, but your RM stopped staff from working on this. A park on a corner is a good outcome. It’s not an ad hoc process. The Greens were consistent in the LEP discussion. We thought large buildings were unacceptable to the community. Including a park is viable. Clr O’Sullivan: Supporting the RM. It’s not the best place for a park. It’s a busy road. Seems there is an obsession with height & some of the Greens councilors would have had a protest about St Bridget’s tower. This is the 5th or 6th consultancy of this & the key things the Greens always leave out are integrated planning & issues of design. Stick with what we have got & build low-income homes in the centre of the city. Clr Macri: Supporting the RM. Residents are upset at the amount of time this site has remained idle. We were looking at the hospital building as the library so open space would have been on the Lilydale Street side. It’s not aesthetically pleasing on a busy corner. 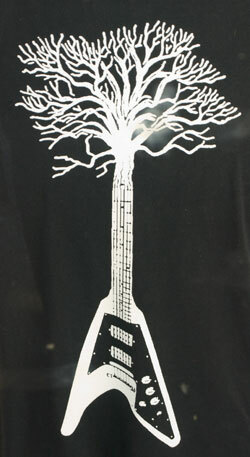 We take trees down as it suits us – 48 were removed for the Enmore Pool. We have an LEP, no-one has said anything about increasing space for a park. I don’t want things unused & people & children so close to traffic. Clr Hanna: Supporting the RM. 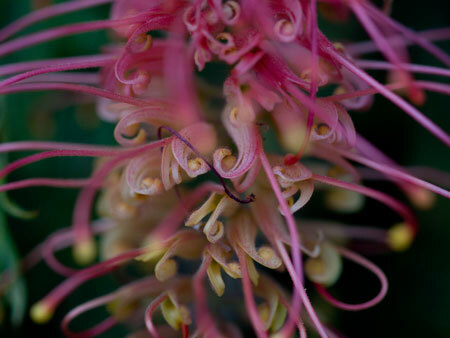 This is the most expensive land in Marrickville & you want to destroy it. 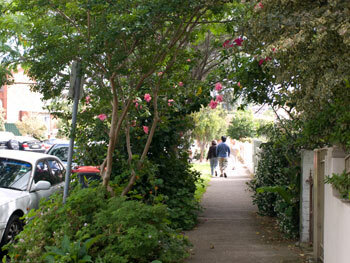 This land can make Marrickville Council one of the richest Councils in Australia. We have to do a Masterplan for this site. Clr Kontellis: Opposing the RM. Councillors were in support of the motion last December. We only added Point 4 asking, can we add another level, can we have a little more information so we can make an informed decision? I don’t believe this RM is in the best interest of the people of Marrickville. Clr Peters: Opposing the RM. It’s glaringly obvious that Clr Hanna sees this land as a goldmine. I see it for the future of our community that doesn’t have much open land. The land isn’t here to build & sell housing on. Regarding parks on corners; look at Hyde Park, Enmore Park or Central Park in NYC. Most parks in built-up areas are near traffic. It’s not away in an industrial area, it’s opposite bus stops, a church & a very popular restaurant. We have to think of the future, this is community profit that people can use. Mayor Byrne: Opposing the RM. I believe previous Councils meant to work on this land for the community. We were gifted with Tempe Tip & we have done a great job on Tempe Reserve. The hospital site is a main project on its own. It has opportunity & capacity. This RM will not allow us to see what this property can deliver. What was moved & adopted by Council is to ask, is it feasible on the whole site to have a park & let’s see what information we get back. If the report says it will create problems with the viability for other projects on the site, then we won’t pursue it. Clr Tsardoulias then read out the names of Greens Councillors who voted against aspects of this site from what he said was the Minutes of the last 6-years & said, I moved this RM because you shut me out. Clr Thanos: When Clr Tsardoulias was not allowed to speak the debate had been closed. Clr Tsardoulias: Putting a park here goes against affordable housing. We have got a crisis in the community. Kiss goodbye to the library & affordable housing. You are not thinking of the ratepayers. It’s financially unviable to do this as we only have $2 million in reserve. Clrs Tsardoulias, Wright, O’Sullivan, Hanna & Macri voted for the RM. Clrs Thanos, Olive, Peters, Kontellis, Phillips & Byrnes voted against it. The RM was lost. To keep the size of this report manageable, I will write about the other items of interest in a separate post. Here ends Report from the Gallery Part 1. This was the Land Use, Assets & Corporate Committee Meeting. It was followed by the Council Meeting. All Councillors attended. The following is how I understood the meeting & all mistakes are mine. Sydney Airport Planning Coordination Forum – A resident spoke, said at present there were 100,000 passengers/year, around 30,000 picking up travellers & around 12,000 workers at Sydney Airport. He said there is 1 expensive train service, the equivalent to a one-way trip to Kiama & 1 bus service, so transport will be a huge problem in the future. He wanted a community member to join the Forum. Clr Phillips said Sydney Airport was about to massively expand the in & out flights so looking at transport was important. Clr Thanos said he thought the Forum’s Chairperson ex Marrickville Mayor Barry Cotter was the most qualified person to represent the community. Carried unanimously. include the vehicles of local residents, Station Street & Unwins Bridge Road will be like a car park & if Marrickville Metro expansion goes ahead, these roads will be even worse. This is dangerous as emergency vehicles won’t be able to get through, high CO2 is bad for both the environment & the health of the community & that no traffic measures have been done for Richardsons Crescent as many leaving IKEA will travel this way. One resident thought IKEA has not given Marrickville Council enough money to pay for traffic problems & it will fall onto the ratepayers. They wanted a traffic review 6 monthly. Clr O’Sullivan was happy to let the LATM go for community consultation, but asked that extra copies of the coloured diagrams be at libraries & available for loan. She noted that there was disagreement among residents & Council needed to support them. Clr Olive said he supported the closure of Union Street, but could see problems arising with Foreman Street. He said he was unenthusiastic about pedestrian islands. He also put up an amendment to remove the ‘no stopping’ section between Richardsons Crescent & Gannon Street as this would not improve the traffic flow. Clr Thanos asked that staff assist the community to understand this complicated document & asked for 2 information sessions where the community could talk with staff & get help with the writing of their submissions. Clr Hanna said not all residents in Union Street want it closed. Carried unanimously. 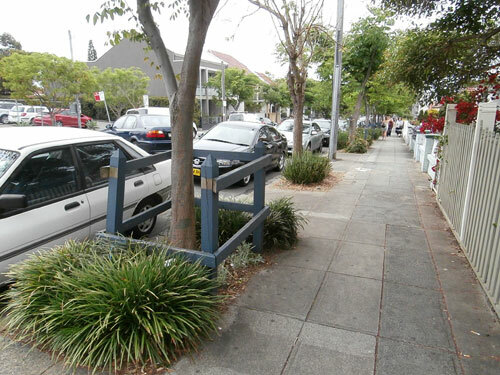 2 residents spoke against a refuge island at the intersection of Trade, Baltic & St Mary Streets saying it was not needed & would result in the loss of a Frangipani tree that was a great feature of the streetscape. “The island would remove 5 parking spaces, but this is minor in terms of the loss of the tree.” (May I say how great it is to hear residents speak up for the retention of trees). Clr Phillips moved that this issue be sent back to the Traffic Committee. Crl Olive said he encouraged staff to think of a measure that is perpendicular with traffic & includes sensitive urban design as these islands don’t calm traffic. Carried unanimously. The rest of the LATM also carried unanimously. 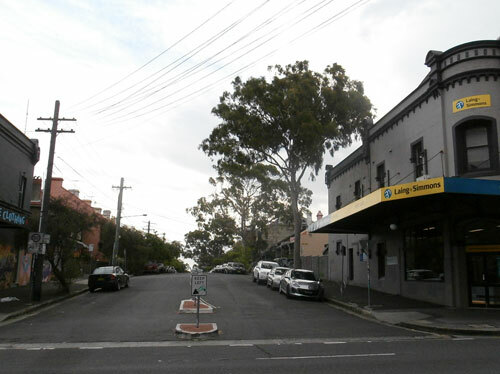 Establishment of an Alcohol Free Zone in Bailey, Goddard & Holt Streets Newtown – Clr Kontellis said that AFZ’s only move the often the most vulnerable people on to another area & that there was only 1 letter of complaint. Clr Wright said in this case the drinkers were backpackers & supported the proposal. Mayor Byrne said she has voted against AFZ’s previously, but supported this one because it was backpackers. Clr Peters agreed saying it was also drinkers from Sandringham Hotel & had been happening for 4 years. Passed with only Clr Kontellis against. Community facilities: Calvert Street public toilet – Clr Macri did not want the upgrade deferred to 2015. Clr O’Sullivan agreed. Clr Tsardoulias put up an amendment that the toilets be upgraded in the 2011 budget. Carried with Clrs Phillips & Thanos voting against. Activity program to mark Marrickville Council’s 150th anniversary – Clr Tsardoulias put up an amendment that staff investigate doing a re-enactment of a historical Council meeting & move the event to the Alex Trevellian Plaza. Clr Olive put up an amendment to investigate doing something at the old Town Hall. Clr Byrne said she had concerns with the amendments because of the budget & the weather may ruin an event at the Plaza. Clr Thanos said the community would not like to spend $30-40,000 on a separate event & maybe the 150-year anniversary could be mentioned in other events. Clr Kontellis thought it was worth spending $30-40,000 on a celebration saying we need to show respect to the indigenous community & foreshadowed an addition to the motion that the program work with the local Aboriginal leaders to ensure respect of their culture. Clr O’Sullivan put up a foreshadowed motion for Council to work with Marrickville Heritage Society with a view to promoting a fresh look at Marrickville’s history. Re amendment to go back to the Alex Trevellian Plaza, Clr Hanna said when this happened previously, no-one was interested & it was a waste of money. Clr Macri thought something that promoted the history of Marrickville should be included in Marrickville Matters. Clrs Hanna, Macri, Iskandar, Wright, Tsardoulias & O’Sullivan voting for & Greens voting against. Chair Clr Phillips used his casting vote to defeat the motion. Motion to investigate doing something at old Town Hall. Clrs Hanna, Iskandar, Wright, Olive, Kontellis & O’Sullivan. Chair Clr Phillips used his casting vote to carry the motion. Motion to involve local Aboriginal community. Carried. Clr Thanos voted against. 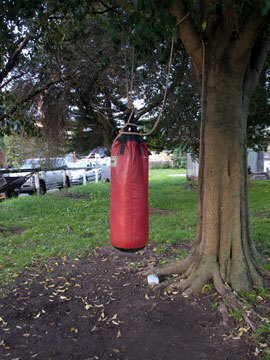 Motion to involve Marrickville Heritage Society carried. Against Clrs Thanos & Byrne. Motion to take back to Alex Trevellian Plaza carried. Clrs Thanos & Byrne against. Motion as amended: Investigate doing something at old Town Hall, sensitive to the local Aboriginal community, incorporate Marrickville Heritage Society & take back to the Alex Trevellian Plaza, carried. Clrs Byrne & Thanos against. Here ends the Land Use, Assets & Corporate Committee Meeting. Due to the length of the post I will post about the Council Meeting separately. This was the Council Meeting. Absent: Clr Iskandar. The following is how I understood the meeting & all mistakes are mine. 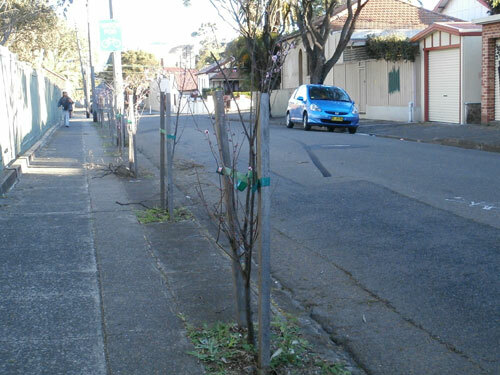 Marrickville Urban Forest Policy & Strategy – I spoke in favour of the policy. Clr Phillips recommended that the community consultation be extended until 2nd February 2011 & this policy be referred to the Environment Committee before coming back to Council. He said it was a very good & thoughtful report & that he was pleased with its direction & overall goals of increasing large tree numbers & the overall canopy & recognizing the benefits of trees to the environment, health & house prices. He said he hoped Council would get lots of good feedback from the community. Clr Wright said it was a good document compared to the previous one, treating trees as assets is a good move & a Register will allow Council to control the trees it has & know how long they have to live. She said that Marrickville LGA will look a lot greener within 10-15 years. 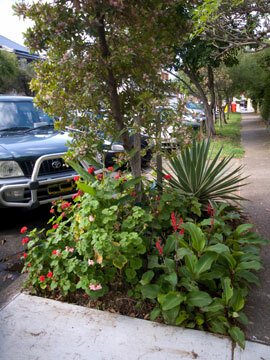 Clr Peters said it was great to have an Urban Forest Policy & to follow it up with the Street Tree Policy. She made an amendment that interim bids for Councillor identified actions be included in the document. She said all the priorities have been set without community consultation & Councillor consultation & some of the actions may need to move up the list of priorities, but most won’t be able to be done because Marrickville Council doesn’t have the money. She said she wanted Councillors to have a meeting to decide priorities after the community consultation had closed and before the budget process. Clr O’Sullivan said Council should encourage community experts to contribute in community consultation, that the Notice of Removal of trees needed to be looked at & that Council needed a street tree masterplan. She said Council needed to draw the community’s attention to the Urban Forest Policy including those who see trees more as an impediment. Clr Olive supported the overall policy & the amendments by Clrs Phillips & Peters, but said he wasn’t comfortable with Council’s use of the phrase “overly mature trees.” Clr Kontellis said it was not a policy, it was a strategy & that it didn’t have all the details, but it did look at strategies. This should be made clear during the community consultation as people will be looking for a level of detail that this plan is not meant to give. 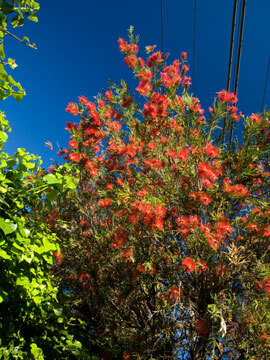 She said she thought the Urban Forest Policy was fantastic for Marrickville & that it was innovative & sustainable. 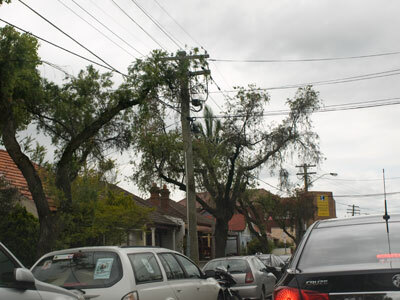 Clr Thanos supported the Urban Forest Policy, but said if a street tree was causing damage to a property, Council should support the owners, not the tree. He also said that this policy was talking about large sums of money & that having a policy without allocating a budget means nothing. Carried unanimously. Here ends the Report for this week. 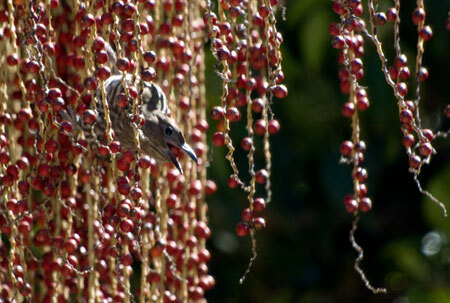 I will post about the details of the Draft Urban Forest Policy in the future. Council Meeting. Absent: Clr Iskandar. The following is how I understood the meeting & all mistakes are mine. ability to pay. She said group bookings should be a separate issue & people from outside the LGA should be able to hire the facilities to help pay for the upkeep of the facilities. Clr Thanos said Council was asking $10/hr/per group & had done a budget adjustment for groups that can’t afford hire charges giving them $1,000/yr towards this. He said Council want to help disadvantaged groups, but stop other NFP groups who make money by taking advantage of Council. Clr Wright opposed the recommendation saying if it was passed she would put up a foreshadowed motion to revert back to Council’s previous policy. Clr Kontellis opposed the motion saying she thought the process would be labour intensive & she wasn’t sure it would deliver equity. Clr Phillips said he would support Clr Wright’s foreshadowed motion & said the process is creating unnecessary bureaucracy. Clr Macri supported the motion saying disadvantaged groups will be looked after & that it was difficult for Council not to look at revenue streams when council is in such a dire financial position. Clr Hanna was against the recommendation & said political parties must pay to use the facilities. Clr Thanos said Council cannot exclude NFP groups & a return to the previous policy would be endorsing a $60,000 budgetary hole. He also said the current operating surplus of Council was “$100 or close to.” He said this was a well-endorsed decision that took 6 years to make & should be trialed for 12 months. The recommendation was lost. Only Clrs Macri & Thanos voted for it. Clr Wright put up the motion to revert back to previous policy not to charge NFP organizations & said those who charge an entrance fee should pay $19/hr for halls & $15/hr for meeting rooms. Clr Hanna said again that political parties must pay. This motion was lost with Clrs Thanos, Byrne, Macri & Tsardoulias voting for it. They then voted to revert back to Council’s previous policy, which was carried. Clrs Thanos, Hanna & Macri voted against it. Verge mowing – Council wants to do a staged cessation of verge mowing over 3 years encouraging the community to plant these spaces. 2 residents spoke for the recommendation saying they were impressed with the quality of the Report & if implemented, could transform the streets of the LGA. They said issues such as better stormwater management & minimal use of impermeable surfaces would help the Cooks River, biodiversity would increase as would community input & participation, safety & social harmony. 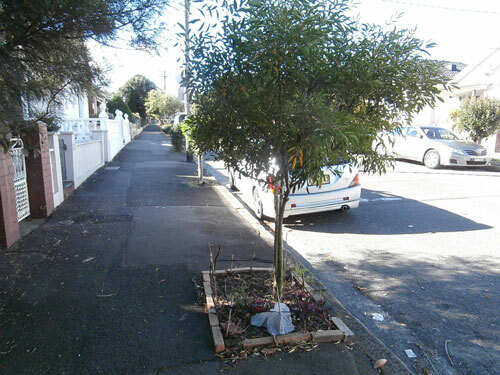 Using the money to clean up shopping areas would improve amenity & make Marrickville LGA look more attractive & planting verges would result in less dumping. One mentioned that Bush Pocket sites look after themselves after 6 years & that the pollution from 1 small petrol lawn mower operating for 1 hour was equivalent to 10 standard cars. Another resident spoke against saying that Bush Pockets shouldn’t be included in the Report as they are a separate issue. She also said that there needed to be community consultation before Council decided to stop mowing verges. She said Council couldn’t dictate that people mow verges, that Council has too many grassed areas that should be removed & that areas along the Cooks River should be planted out so people cannot get to into these areas to assist wildlife. She thought the report had many flaws & did not consider those in the community who would not be able to mow their verge. Clr Thanos moved that the Report be noted & delayed for 3 months for further consultation & be included in the community consultation for the Urban Forest Policy. He said Musselbrook Council had removed verges from some of their median strips saving the Council millions of dollars & the residents were happy with the plants chosen. He said different community groups have different needs, that it was a shame that more in the community did not want to volunteer for Bush Pockets, but Council wanted to massively change services that have been provided for 40 years. He had no problem asking for a special rate levy to pay for this. He thought the change should be over 10-20 years. He was also concerned that Council workers would fear they may lose the jobs. Clr O’Sullivan thought it was an ambitious policy that had pitfalls & wanted an amendment that Council was planning to present the Public Domain Policy in the next 2 months & as verges are a part of this, should be included in that policy. Clr Wright said she supported Clr Thanos & Bush Pockets initiatives, but was opposed to removing essential services. She thought that providing mowing for all the exceptions would result in extra costs & that this is a traditional service. Clr Phillips also supported Clr Thanos saying it was a long-term project & Council needed to support the community who were interested in planting out verges. Clr Peters also supported Clr Thanos & said she thought Council needed to encourage the community to view verges in a different way. She said Randwick, Waverley, Ashfield, Manly & Burwood Councils don’t mow the verges. She was supportive of saving money. Clr Olive also supported Clr Thanos saying he would never support cutting mowing to this extent. He said he hoped Council would cut down 1-2 cycles from the 11 per year & the money saved could support the community taking measures that they want. Clr Kontellis supported Clr Thanos saying this issue was greater than merely saving money. residents are not happy with the edging not being done & reducing mowing cycles only means that cutting the grass takes longer labour hours. 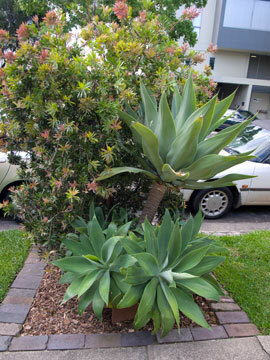 He supported Bush Pockets & thought most in the community didn’t know that they could garden their verges. He said Council’s policy on tree planting was less than desirable with trees pulled out & broken. Clr Tsardoulias supported Clr Thanos saying it was an alarming report & asked who is responsible if someone trips over something someone other than Council has planted. He was concerned about access for prams & people with disabilities. He said he would not support cutting services, job loss or redundancies & proposed an amendment to restore edging. Clr Thanos said he couldn’t support this as it saved around $500,000/year. Staff said instead of edging, better street cleaning was done. If edging wasn’t done they could employ less summer staff. Clr Hanna supported Clr Tsardoulias’ amendment. Clr Peters did not, saying St Peters residents were happy at the increased cleaning of streets. Mayor Byrne said she didn’t support immediate reinstatement, but was happy to investigate further & look into a special rate levy. Clr Tsardoulias’ motion was lost. Clr O’Sullivan’s motion was carried unanimously. The new Urban Forest Policy was also part of the agenda. I will post about this separately.